Simple triangle motion, they will add sets to it. 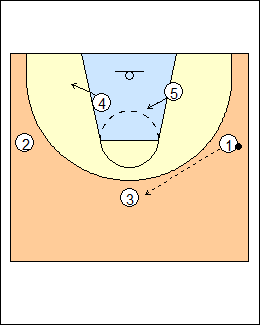 Players in the triangle have size and can score on the block (here 3-4-5). 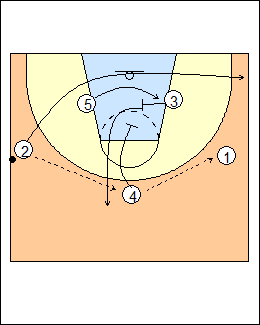 When 1 dribbles into playing position, 3 screens across for 5, 4 screens down for 3. 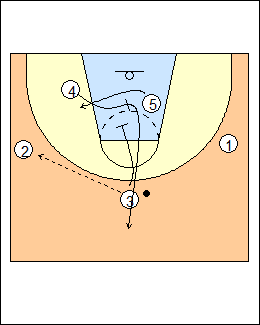 Variation - 3 backscreens for 4, who then screens across for 5. 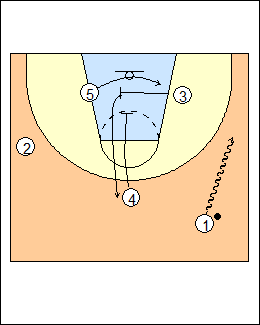 On a pass to 3, 5 ducks in, 4 ducks if he's got a guy he can post, otherwise he steps out (shown). 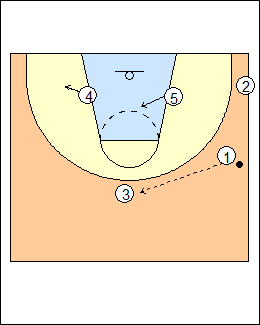 See Offence - Argentina motion (2 screens down for 4 on the pass to 3), also Argentina specials, Rebounding - Triangle screening, Attack/defend - 3 on 3 cross-screen downscreen. 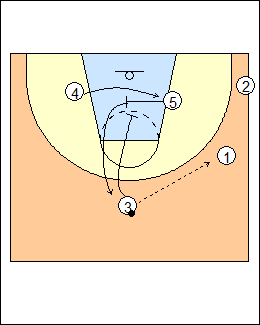 On a pass to 2, 4 screens away, 3 screens down. They can run a shooter out to the corner, taking all the help out. Note that 5 comes out top in this situation. At any time the guy at the top can pass and go ballscreen.